A stunning created sapphire perfectly set and surrounded by sparkling diamonds. The pendant is rhodium plated to prevent tarnishing. 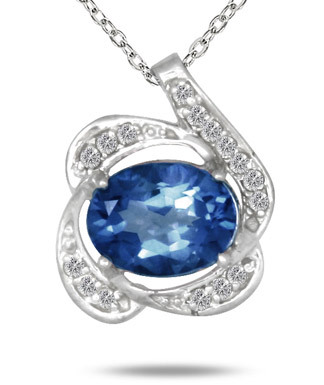 We guarantee our 2.75 Carat Created Sapphire and Diamond Pendant in .925 Sterling Silver to be high quality, authentic jewelry, as described above.